Wendy teaches a free flowing style of Hatha Yoga, incorporating the heat and movement of Ashtanga Yoga with the correct alignment focus of Iyengar Yoga. This Vinyasa style blends the elements of breath, posture and flow into a dynamic, energetic, intense and fun practice. Wendy also teaches Pranayama and Vipassana meditation on all her retreats. 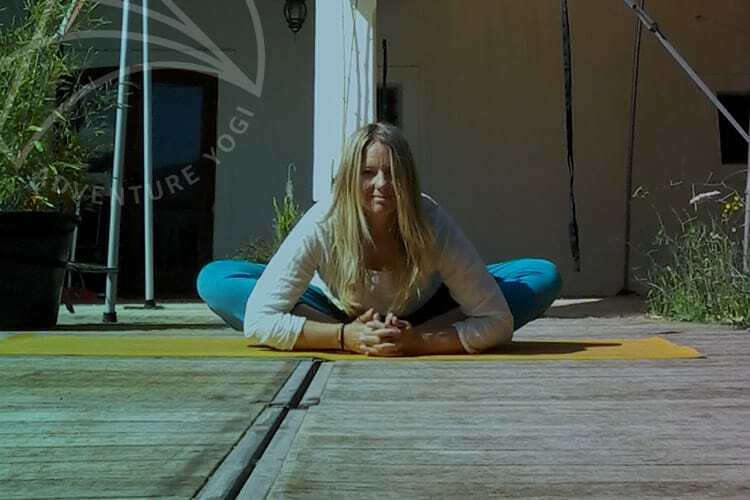 Teaching for the last 6 years, Wendy uses elements of all styles she has learnt and teaches a creative, fun yet rewarding Vinyasa class for students in retreats and workshops around the world. After several years travelling, studying yoga and meditation techniques and teaching on our yoga holidays in Ibiza, with intermittent visits to the UK to teach intensive workshops, Wendy has landed her lotus in Ibiza setting up a yoga bed and breakfast in the campo with partner and chef Neil and is happy to accept her international client base to her own place. Wendy is trained to teach beginner, intermediate level students and pre-natal and therapy yoga.